Many polyurethane foam constructions benefit from the capability of laminating different foam types together to form one part. 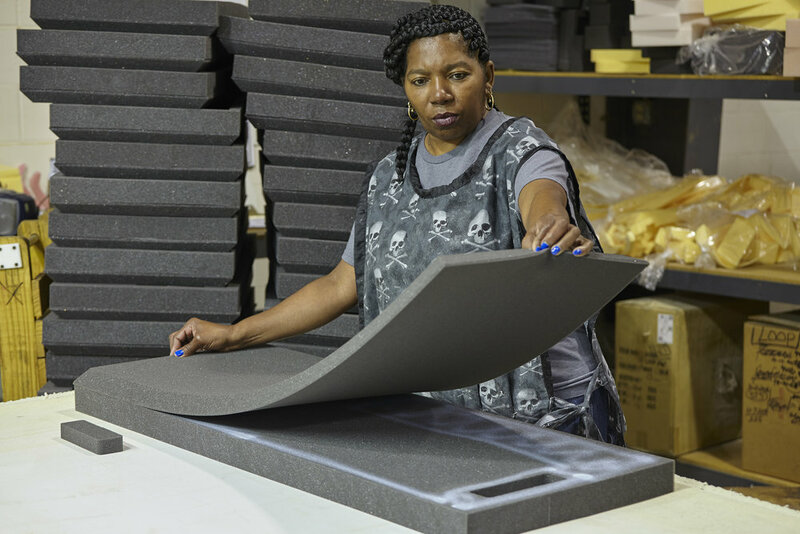 All five of Foamcraft's fabrication facilities are equipped with multiple adhesive laminating production lines and staffed with long tenured adhesive assemblers that are focused on the specific details of each part. 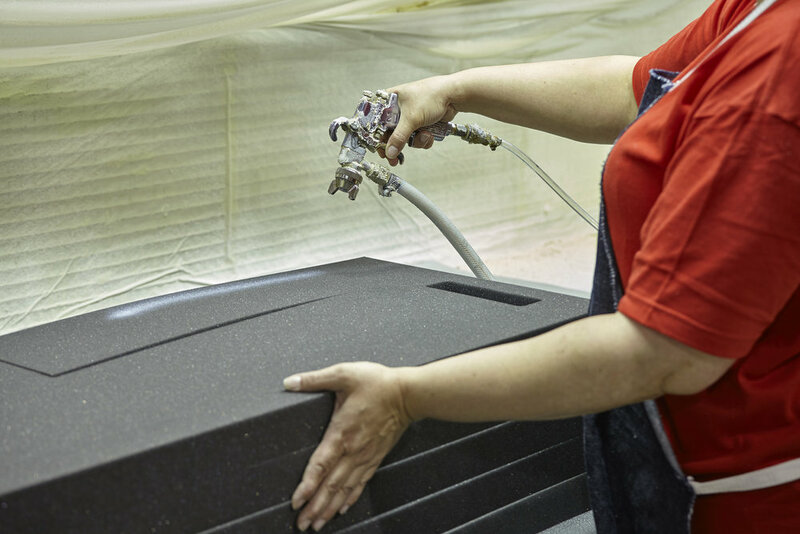 Foamcraft utilizes a water-based spray adhesive to ensure that complex foam constructions are safe, clean, and adhere well under rigorous and long term use. The spray glue instantly bonds to the foam, ensuring a strong bond between layers, but also maintains a soft line that is difficult to notice once covered. By combining multiple fabrication steps with lamination capability, Foamcraft is able to achieve a high level of complexity in a finished part. 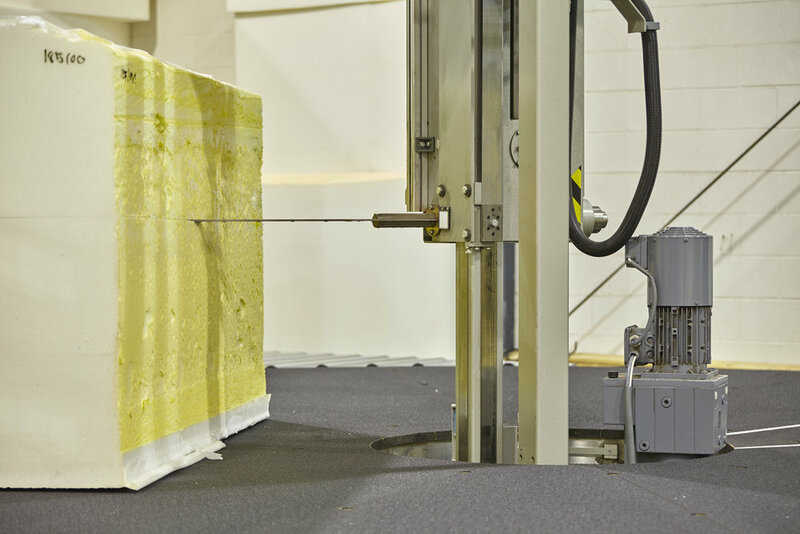 Whether it be for packaging, seating, or medical, our glue and assembly steps are what help craft basic blocks of foam into a usable part. Our laminating machine is able to apply varying Pressure Sensitive Adhesives to multiple sub-straights - polyurethane foam, polyethylene foam, cross-linked polyethylene foam and more. Once the PSA is applied to the sheet, our die cutters, flash cutters, or CNC cutters can finalize a foam part with PSA backing.